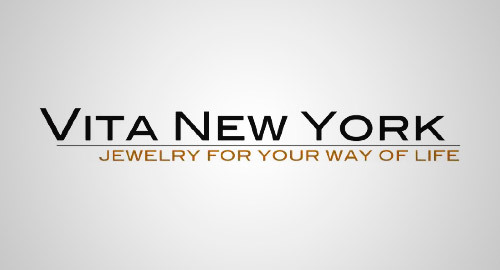 New York, New York – July 28, 2010 – Vita New York handcrafted jewelry, anchored in Manhattan’s Soho neighborhood, has selected MDG Advertising to handle their public communications. Debuting Summer 2010 is distinctive and vibrant new line of wrist belts made in a variety of skins and leather bands created to hold a one of a kind gem on the wrist. This new collection will be featured in the lauded September issue of Harper’s Bazaar. The brand’s design concept centers around the use of natural semi – precious stones. 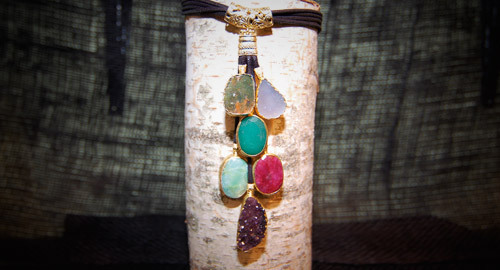 The wide variety of stones utilized in the pieces are collected from all over the globe. The metals used in the gold-tone jewelry are a composition of sterling silver and a 14k gold finish. The silver jewelry is typically oxidized to finalize its appearance. The exquisitely designed jewelry is handcrafted to meet the exacting standards of this up -and-coming design duo. The brand has already been featured in New York Magazine’s “The Cut” and Haute Living. Made-to-order pieces are a special perk for celebrity clients, which include the likes of Cyndi Lauper. To date, the brand is sold exclusively online at www.vitanewyorkstore.com, as well as in Soho on Spring and Mercer Streets. MDG Advertising of Boca Raton, FL and New York, NY is an award-winning, full-service agency specializing in customized communications strategies. Our core capabilities include creative, digital marketing, media planning and buying, public relations, Web design and development and SEO. For more about us, please log on to mdgadvertising.com.